Don’t you just love singing in the rain— I mean, shower? A shower can be many things to people: a private think tank, a karaoke lounge, and even a steam-filled paradise. 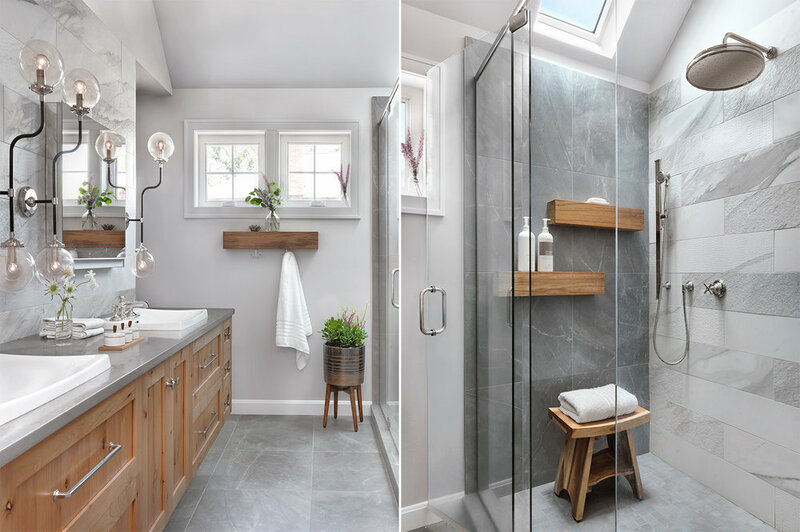 Check out some of our favorite Showers and Baths below! Each of these walk-in showers uses a different design feature for a custom feel. Spice up your white shower with unique tile, fun hardware or custom cabinetry. 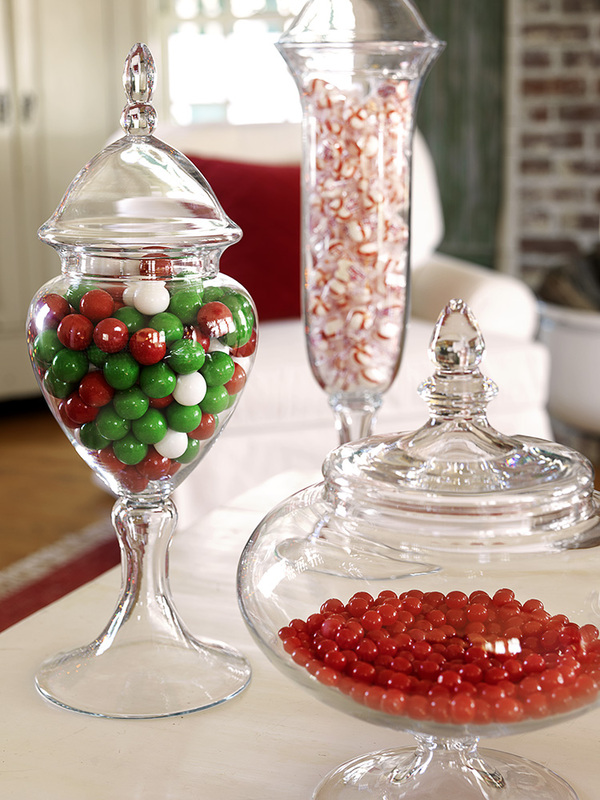 while white is nice, a bold statement color will always capture the attention of house guests. wow them with YOUR favorite shade. Why limit your personal oasis to the indoors? Bring the outdoors inside with large windows or be one with nature with a private walk-out shower. The angad arts hotel is the first in the world to let you select your room based on color and the emotion you are feeling. Visitors can choose from stylized rooms focused on tranquility (blue), REJUVENATION (green), passion (red), or happiness (yellow). In a lot of modern design, we come across pretty grays and neutrals. In St. Louis, the new Angad Arts Hotel is featuring fabulous use of color in its design. The angad arts hotel '‘embraces the visual arts, performance, fashion, literature and gastronomy”, making it an ideal luxury destination. you can also bring your furry friends! WITH THE START OF A NEW YEAR UPON US, MANY PEOPLE ARE BEGINNING NEW FITNESS GOALS. WHETHER IT’S SWIMMING, RUNNING, OR LIFTING WEIGHTS, THE NEW YEAR IS A GREAT TIME TO FIND A NEW HOBBY AND GET ACTIVE. HERE ARE SOME OF THE FUN FITNESS SPACES CREATED BY OUR CLIENTS. THIS GYM IS LOCATED IN CLAYTON ON THE PARK, A LUXURY APARTMENT BUILDING BY HOK AND THE KOMAN GROUP. THIS ON-SITE FACILITY ALLOWS APARTMENT TENANTS TO GET THEIR DAILY WORKOUTS IN WITHOUT LEAVING THE BUILDING. SWIMMING IS A GREAT WAY TO GET ACTIVE. THIS SWIMMING POOL IS IN A SENIOR LIVING FACILITY DESIGNED BY SPELLMAN BRADY. STEEL WHEELS IS AN CYCLING STUDIO IN ST. LOUIS, MISSOURI THAT OFFERS THE ROAD BICYCLING EXPERIENCE INDOORS USING AUDIO-VISUAL MEDIA AND TECHNOLOGY. the lawrence group created this workout space inside The core apartment residences. The space offers plenty of cardio and weights for all of the resident’s workout needs. FINDING A WAY TO PLAY WITH THE KIDS IS A FUN WAY TO GET YOUR EXERCISE IN. THIS INDOOR POOL BY MITCHELL WALL LETS THIS FAMILY SWIM YEAR-ROUND IN THEIR HOME. where is the best place to celebrate thanksgiving, christmas, and other holidays? in the dining room (with food)! 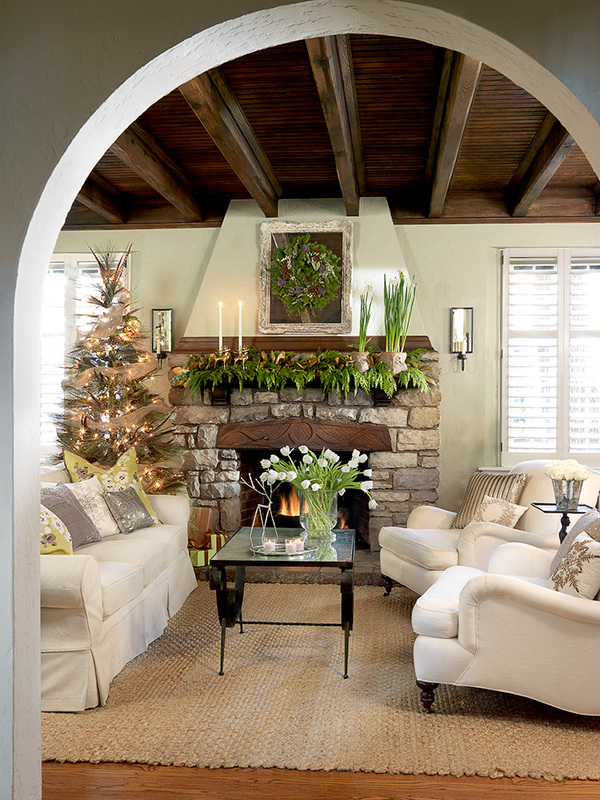 With the Holiday Season merely weeks away, we decided to pay homage to the most special gathering space of the home. Johnson Design sets the scene for the upcoming holidays with BOLD black and white PATTERNS AND a STRONG CHANDELIER. ADJ combines curated antiques with strong modern pieces for a stunning dining room. ANDY VILLASANA infuses his design with great modern art, minimal sculptural pieces and vibrant color. But no accessory makes a dining room better than a matching dog! AMY STUDEBAKER (left) blends a clean palette with touches of vivacious blue. DANA ROMEIS (right) adds sparkle to a sleek and sophisticated design with a custom chandelier. JAMIESON’s sophisticated touch marries a wine room to the dining room; what better way to end the day? Looking for more inspiration for the season? Check out one of alise’s favorite thanksgiving recipes below! Let us know how it tastes. MANY OF OUR CLIENTS WORK ON CREATING WORKSPACES FOR THEIR CLIENTS AND EMPLOYEES TO ENJOY. HERE IS A LOOK AT SOME OF THE UNIQUE AND INSPIRING SPACES THAT DESIGNERS AND BUILDERS WE WORK WITH HAVE DESIGNED. designed by Alan Nehring, One of the newest spaces in the area is Coltrane Built. Upon entering, employees and guests are greeted by an open work space and a modern coffee bar. Seating is available throughout the building, with meeting areas and a special touch screen area. Erin Muller of Nehring Design Had this to say about the design of coltrane built: "We aspired to engage a modern workplace within showcasing the latest demountable wall and audio visual technologies while preserving the fabric of the area on the structures exterior." The lawrence group designed a striking, graphic space for the pet-loving employees of solid gold pet and their four-legged friends. Lisa morrision says that The office space includes natural stone walls, rustic wood cladding, and crisp solid surfaces with bright walls to create a perfect backdrop for solid gold's packaging. Morrison says, "At Solid Gold, pets are their #1 client. Lawrence Group created a pet friendly and animal centric work environment that employees could enjoy as well. This group of avid animal lovers worked with Lawrence Group’s Workplace team to design an open office experience for their new corporate headquarters that perfectly partnered with their holistic pet food company’s brand with their space." the designers created the perfect blend to work while being pet-friendly. When We asked Rita Radley of Arcturis About Adarza , She said that her client "wanted a space that could not only support the needs of their team, but help tell their story and define their culture. We used graphics inspired by Adarza’s cutting edge technology to subtly brand their space. The kitchen was strategically located in the heart of the office to act as a connector between the lab and the office space. To encourage social interaction and cross-pollination of ideas, we added an interactive community wall in the kitchen that has become a cultural touchstone in the space. By creating an element that the employees can use to share ideas and contribute to their environment, they are creating their own story and are continuing to define their brand. 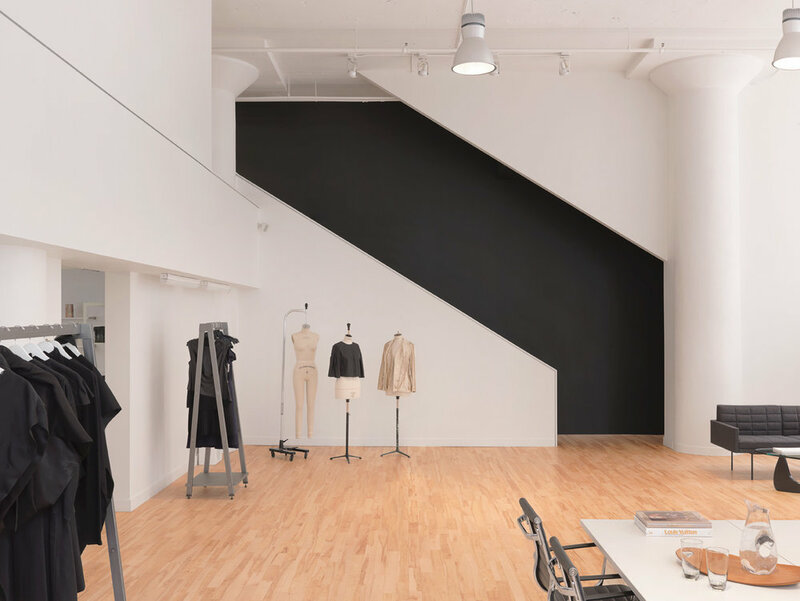 For anyone visiting their new space, the office provides clarity about not only their cutting-edge technology, but how they define the company’s story and culture." arcturis definitely reached their goals in the design of this unique and interactive workspace. Here comes summer! Vacation time, right? You may not be leaving town, but that shouldn't stop you from having a 'staycation' right here in St. Louis. 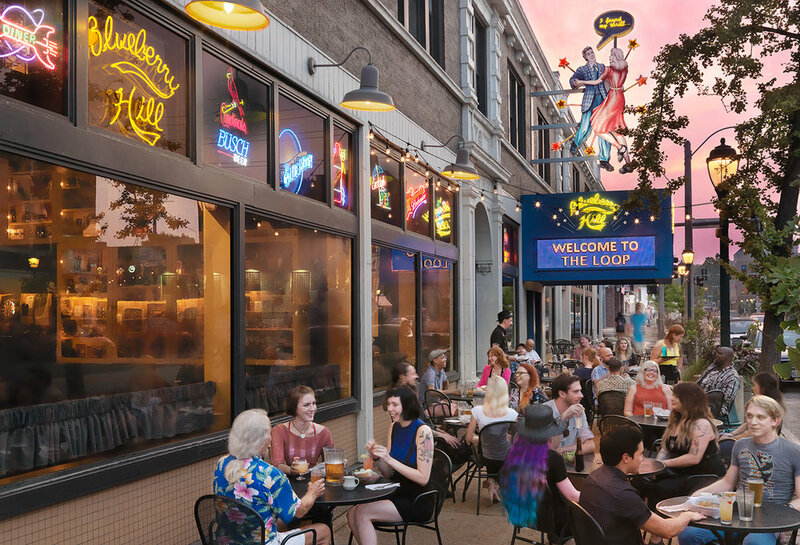 To start planning your St. Louis Staycation, let's check into the Moonrise Hotel on the Delmar Loop. The building theme is out of this world (literally), with every room boasting a space-theme and bright colors. The hotel even has a rooftop bar and patio for those perfect summer nights under the stars. Right off Washington Blvd., you can check out the Pulitzer Arts Foundation's latest exhibit "Terra Infirma" by Mona Hatoum. Designed to make you somewhat uncomfortable, the artist has created a series of work that will change the way you look at various household objects. for example, she has created an over-sized grinder, title "Mouli Julienne," as seen below. We must check out everything Forest Park has to offer, with highlights like the Grand Basin and the St Louis Art Museum. One of the last remaining exhibits of the 1904 World's Fair, the Grand Basin is a beautiful piece of local history to experience. Visitors are able to take paddle boats out among the fountains to cool down in the St Louis heat. This summer, SLAM is hosting several exhibits, including "Sunken Cities: Egypt's Lost World," and "Sun Xun: Time Spy." Next, where should we get dinner? Let's hit the world-famous Blueberry Hill, where The Father of Rock & Roll and first person inducted into the Rock & Roll Hall of Fame, Chuck Berry, inaugurated the Duck Room. A popular music spot, people flock from all over to pay their respects, have some food and listen to great live music. As our day fades to evening, we would recommend some time at Billy Jean's for a cocktail and dinner. or, swing by Jazz at the Bistro for some smooth late-night entertainment. Design: David Richardson Interiors / Art: Robert Motherwell. Charles Eames once said "The details are not details. They make the design." Whether you agree with Eames or not, one thing we can all agree on is that great art can tie a space together. Design: Ken Stückenschnieder / Art: Kim Keever (foyer) and Donald Baechler (bedroom). Whether the room is extravagant or simple and elegant, an abstract piece can add a pop of color or create a bold statement. Design: ADJ Interiors / Art: Ted Collier. Design: Jamieson Design / Art: Julian Schnabel. We love showcasing the fusion of great art and great design. 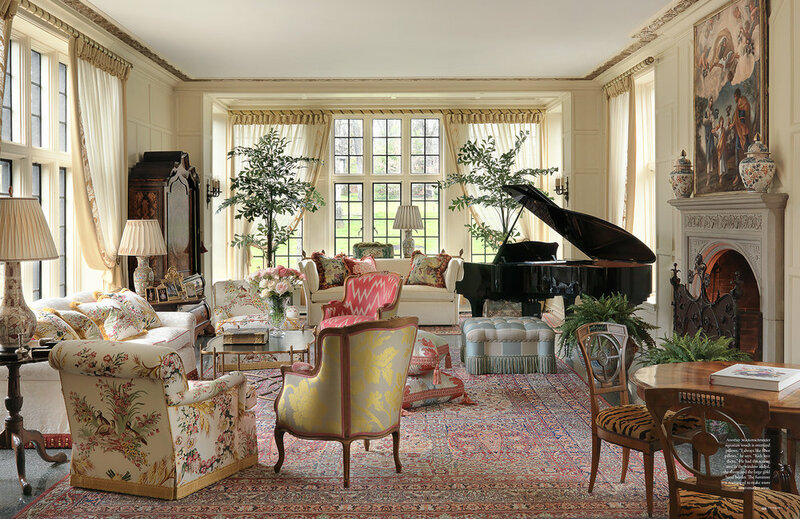 While style varies, each client has a great eye for matching art to the spirit of the homes they create. Design: Castle Design (Lauren Sweet Schuler) / Art: Kelly O'Neal. With Valentine's Day just around the corner, we decided to revisit some of our most romantic rooms. 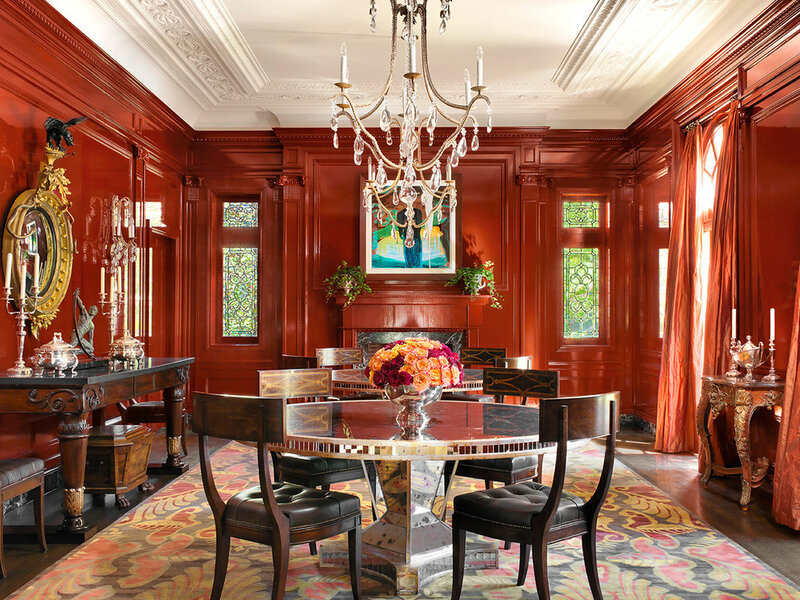 We love these stunning spaces and bold red interiors from David Kent Richardson, Mitchell Wall, Jamieson Design, and Stückenschneider Decoration and Design. 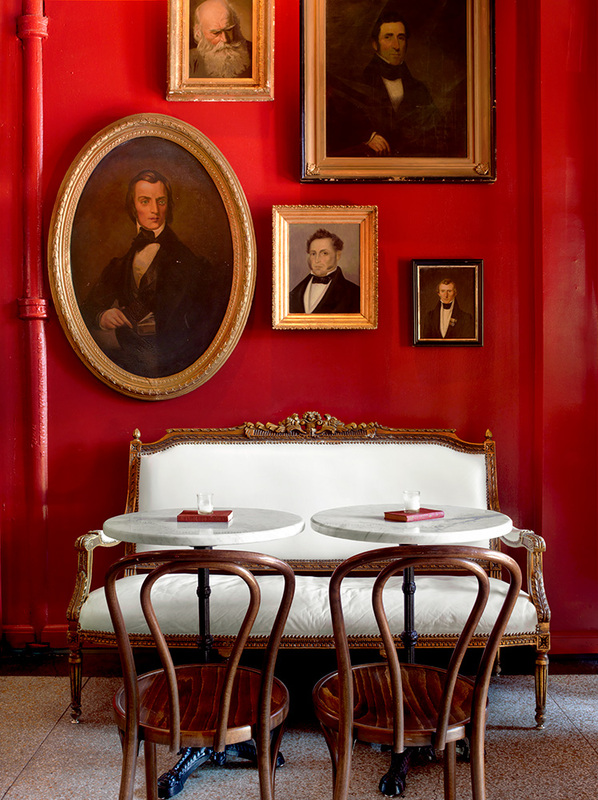 Vivid reds were imperative in the creation of Bar Les Freres, selected as the most romantic restaurant in Missouri by Elle Decor. Which of these tables are you reserving for Valentine's Day? We can't forget the subtle Details. What are your plans for the Holiday? Building upon the Brado culture included providing multiple work settings to allow end users to pursue various destinations within the work place. Classic furniture in bold colors, textures and patterns help define the destinations (or rooms) within the exposed St Louis brick open office setting. 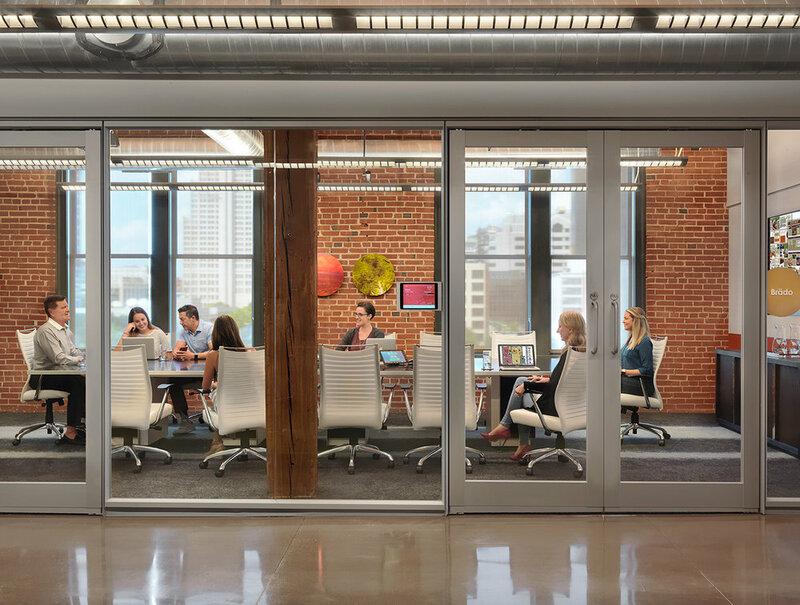 Enclosed spaces are surrounded with a transparent demountable wall solution and one that allows embedded audio visual technologies. The latest technology was incorporated throughout every part of the project to provide efficient meeting spaces, work spaces and as artwork. Don't forget to check out our Instagram for more of our Favorite Projects! With the coming of the Holiday Season, we wanted to share some of our favorite Editorial images from Christmas Past. 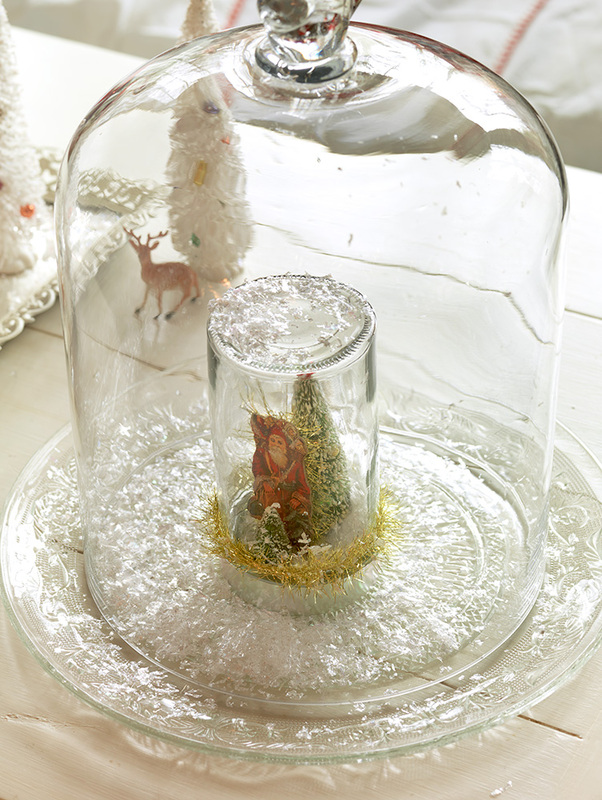 These stories have appeared in Midwest Living, St. Louis At Home, and Christmas Ideas. When is comes to senior living having a stylish setting always makes residing in a new home more enjoyable. These spaces keep things light and bright with plenty of fun color. Spaces that offer plenty of activities to do and opportunities to socialize are always welcomed! Here are a couple rooms from our most recently photographed projects that inspire great senior living! September’s Feature Project plays up modern elegance created by the Lawrence Group. Their recent project for Cushman Wakefield is a beautiful combination of a sleek, modern work space and fun colors that bring life to the cafe, training spaces and conference rooms. 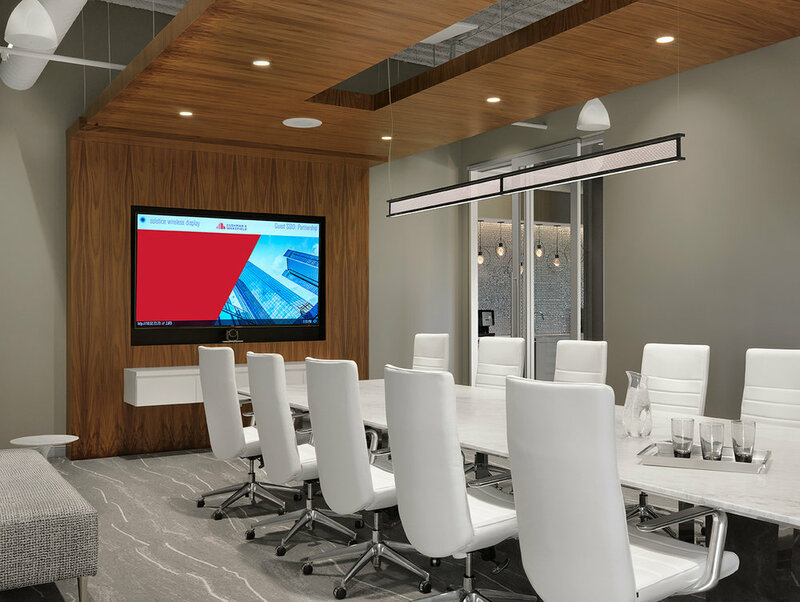 Lisa Morrison, From the Lawrence Group, describes the space as having a "modern color scheme" that fulfills Cushman Wakefield's "work, live, play" mindset as a company. The space serves as a Portfolio Services Center, and offers "a wide variety of a wide variety of work space options including sit-to-stand desks, laptop bars, co-working lounge booths and hearth tables, duck-in rooms for quick phone calls, meet-ups for small meetings and a library for quiet, focused work efforts", says Morrison. 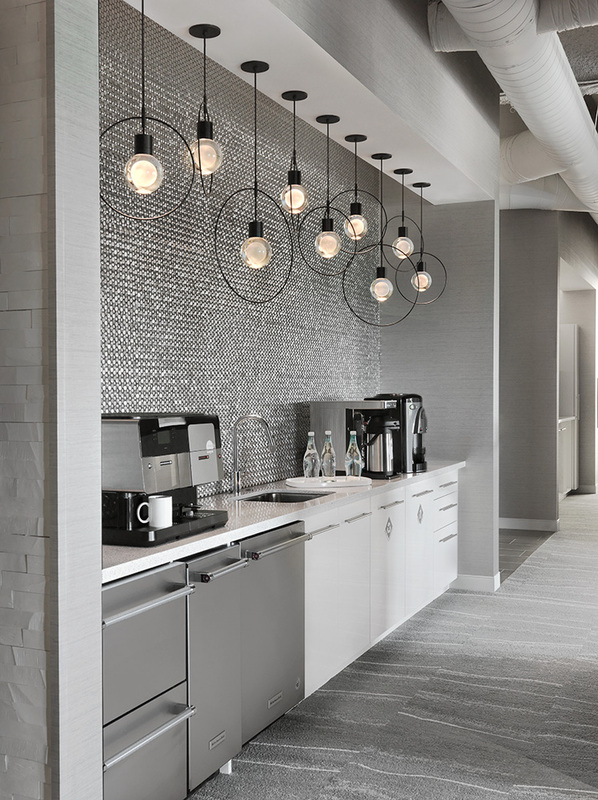 No office is complete without a killer coffee bar. The silver wall is set off by black and stainless, and finished with staggered pendant lights, adding flare to the minimalist design. The space is stunning and functional. It offers the newest technology and many amenities to employees while maintaining refined elements of design throughout. To learn more about the Lawrence Group and the Cushman Wakefield project, visit Lisa Morrison's blog on the project here. Our latest features showcase our clients and their winning style. Whether you are traveling near or far one thing is for certain, you need a comfy place to rest. We've got a couple recommendations just for you and your tired head! This Courtyard Marriott Convention Center Hotel in St. Louis has a whole new look. Originally opened in 1929 as The Lennox Hotel, this space offers a little history and a whole lot of comfort. Headed south? We had the joy of photographing The Q&C Hotel in New Orleans, and it is definitely a recommended stay. Close to the French Quarter, it offers a nod to traditional NOLA with a trendy twist. you will never be far from a good time or a great sleep. with the stars before you take off for your adventures! Here is to happy traveling and a great nights sleep! We are so happy to congratulate Trivers Architecture on winning the 2017 AIA/HUD Secretary's Award for Flance Learning Center in St. Louis, MO. The project was one that brought together community leaders, volunteers, and private partners to bring a bright new future to a lower income community. what better way to celebrate spring weather than to spend some time outdoors!? We've had the pleasure of capturing some great outdoor living spaces. here are a few to inspire your outdoor space this spring. Who wouldn't love being able to wake up in the morning to breakfast on this sun light patio, or have evening drinks beside a warm fire. This lake side veranda is the perfect spot to soak up the sun or relax with your closest friends! Outdoor dining at its finest! A grand setting for hosting family and friends. them than pool side with a good movie and all your best friends! and education to the St. Louis area. We had the pleasure of photographing the new space designed by Arcturis this past February. Here are a few words from them on design challenges they faced for this project. the designers' work and allows their creations to be the focal point."